I am SOOOOO Nauseous – How Can I Get This Nausea Under Control?! In the process of optimizing a person’s neurotransmitter function, it is not uncommon for people to experience transient states of nausea. This is particularly common for those that are dopamine dominant. However, getting this nausea under control as quickly as possible is crucial for long-term success.I’ve written several posts on how to get this nausea under control – here’s one for those that are serotonin dominant and here’s another for those that are dopamine dominant. Before I review a couple other techniques that we have found useful, we need to back way up to make sure we have covered the basics first. I receive emails and responses to our blog posts every week from people that are experiencing nausea – ranging from mild to debilitating – while taking amino acids. Many of these people are under the direction of a health care provider. However, most of them have not been given the proper guidance. Nausea is a sign of neurotransmitter imbalance. At the first sign of nausea, the amino acids must be adjusted to get that nausea under control. If the nausea is allowed to worsen as the amount of dopamine precursors is raised, it can soon become intolerable. The only fix in these instances is to lower the amount of dopamine precursor (either mucuna pruriens and/or tyrosine) to the point where the nausea is just noticeable and to begin the process of modifying the serotonin precursors (i.e., NeuroReplete and/or RepleteExtra). 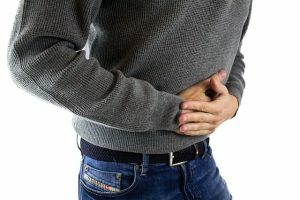 If the nausea has been allowed to go on too long, this process of getting the nausea under control can add 6 to 8 weeks to the time it takes to achieve neurotransmitter optimization. The moral of this story is to get nausea under control early and keep it under control as you progress towards neurotransmitter optimization. Okay, let’s assume that you’re working with a provider that is well-versed in amino acid therapy, that they’ve adjusted your serotonin precursors (i.e., NeuroReplete and/or RepleteExtra) as best as possible, you’ve done sufficient urine testing and adjusted your L-tyrosine dose to eliminate, or at least minimize, dopamine fluctuations and you still have nausea – then what?! There are two additional things that can be done. The first is to try a high-quality, purity verified CBD oil product. BUYER BEWARE – we have found the vast majority of CBD oil products on the market to be of very poor quality, no matter what their marketing literature says. Find a product that is only available through health care providers and make sure it has a valid certificate of analysis. We have found that between 8 and 20 mg of CBD oil 1-2x/day to be sufficient for most people to get their nausea under control. In some cases (i.e., those in which we have done everything listed above but that still experience nausea) we have to increase the number of amino acid doses taken throughout the day. This is often a process of trial-and-error where we may modify the amount of mucuna (and/or tyrosine) taken at various times throughout the day in order to (a) optimize function and (b) control side effects, like nausea. Many times, increasing the number of doses from three or four doses per day to five or six doses per day is all that is needed to keep symptoms under control while eliminating nausea. If you have nausea while taking the amino acids, your amino acid dosing is not balanced. Work with your health care provider to get the nausea under control ASAP or find a provider that can help you.